The Men in Black franchise is coming back to theaters next summer, and Sony has unveiled the first promotional poster for the reboot. At the Licensing Expo in Las Vegas, Nevada, Sony released the promo image for Men in Black, teasing a reboot of the franchise, while keeping in line with the style of the original. The image features a black pair of sunglasses with some sort of room reflected in the lenses. 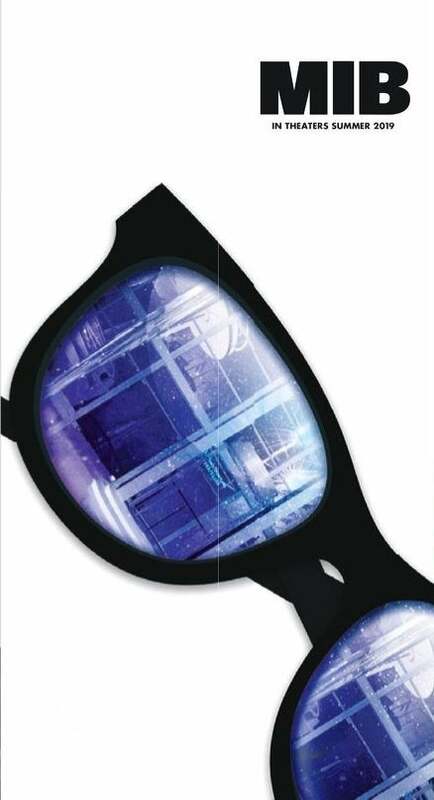 At the top of the poster, the MiB logo is shown, and teases that the film will be hitting theaters next summer. You can check out the full promo image below! This new addition to the franchise will say goodbye to franchise stars Will Smith and Tommy Lee Jones, as the Men in Black move in a different direction with new characters at the helm. Despite the changes, the movie will be set in the same universe as the original trilogy, so Agents J & K will have existed, and their actions in the previous films will still be canon. To replace Smith and Jones, Sony is looking to compound on the success of the recent Marvel Studios blockbuster, Thor: Ragnarok. Stars Chris Hemsworth and Tessa Thompson will be reteaming for this adventure, taking over as the leads to the Men in Black franchise. Fate of the Furious director F. Gary Gray will be directing the new Men in Black movie, with a script from Iron Man scribes Matt Holloway and Art Marcum. As of now, the film is set to hit theaters a little over a year from now, on June 14, 2019. Are you excited that Men in Black is getting the reboot treatment? Do you think that this is just a terrible idea? Let us know your thoughts on the franchise's new direction in the comments below!